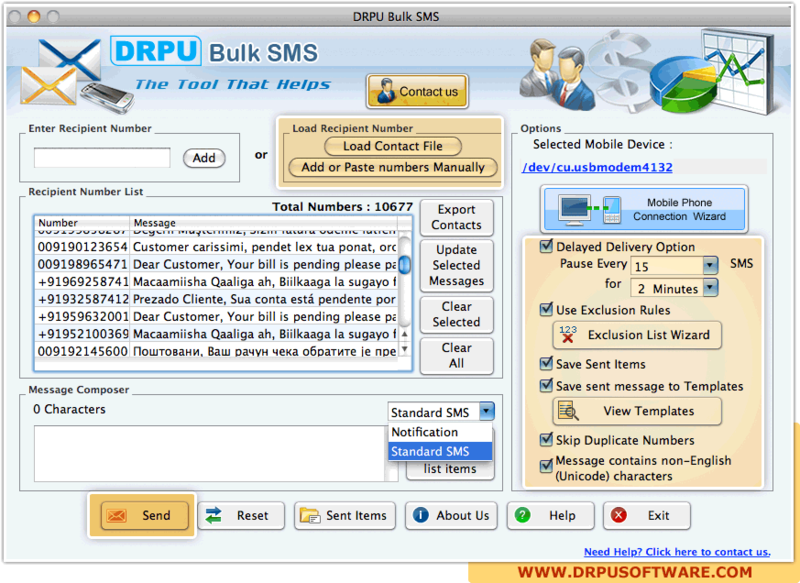 Load Recipient number list from Load Contacts File button or from Add or Paste numbers Manually, then click on Send button for message sending process. 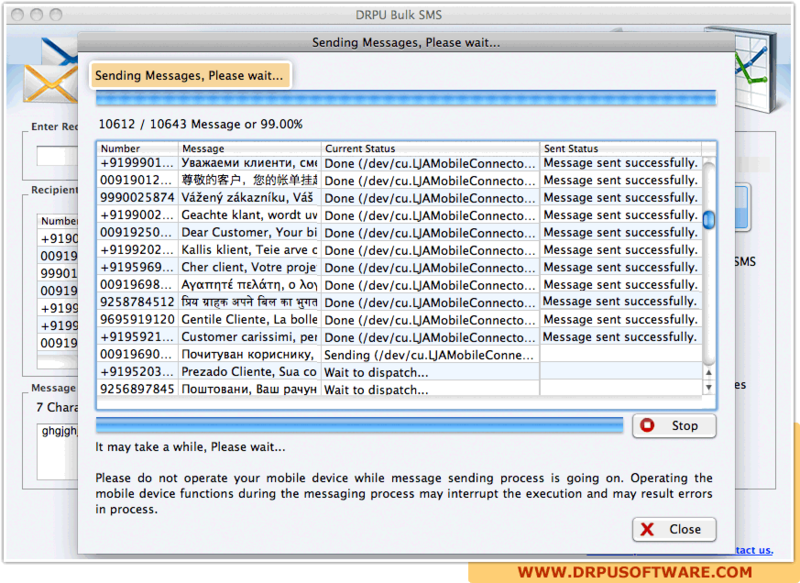 Currently performing message sending process, click on Stop button to stop message sending process. 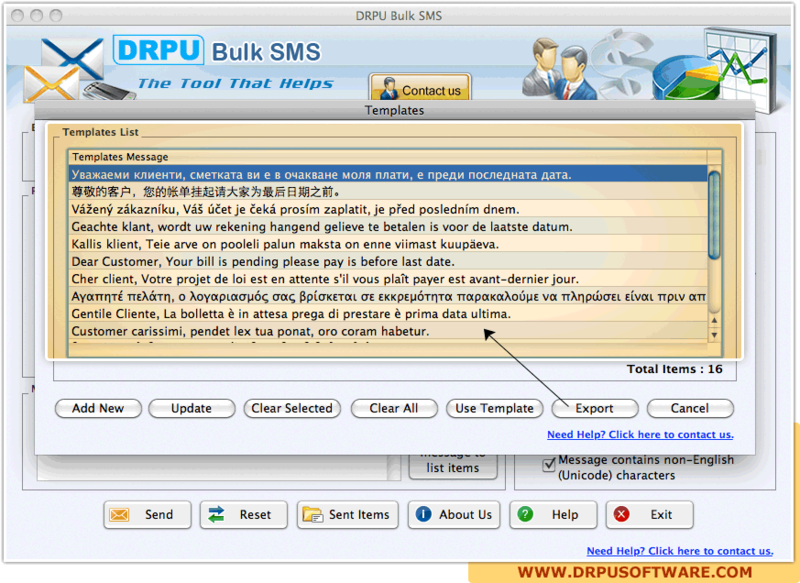 Export template list in HTML or Text format.